For a great deal on a trip to Atlantic City, book the Atlantic City Tour Package. 3 Nights' Lodging in your choice of over 31 hotels. This package is full of interesting things to see, do, and more that will ensure that you are able to get the most out of this gorgeous city. You will begin your getaway with the Atlantic City Afternoon Cruise through Inlets & Bay Areas. On this tour, you will be able to board the beautiful Cruisn 1, which departs from the historic Gardner's Basin. Once on the Atlantic, you will be treated to views of wildlife, the state's only wind farm, and the gorgeous coastline. You can rent binoculars, buy disposable cameras, and more while you relax and enjoy the peaceful cruise. You will also get to embark upon another cruise. The Historical Atlantic City Skyline & Boardwalk Sightseeing cruise is perfect for those history buffs. Learn all about the area while soaking in some of the most stunning views in the area. 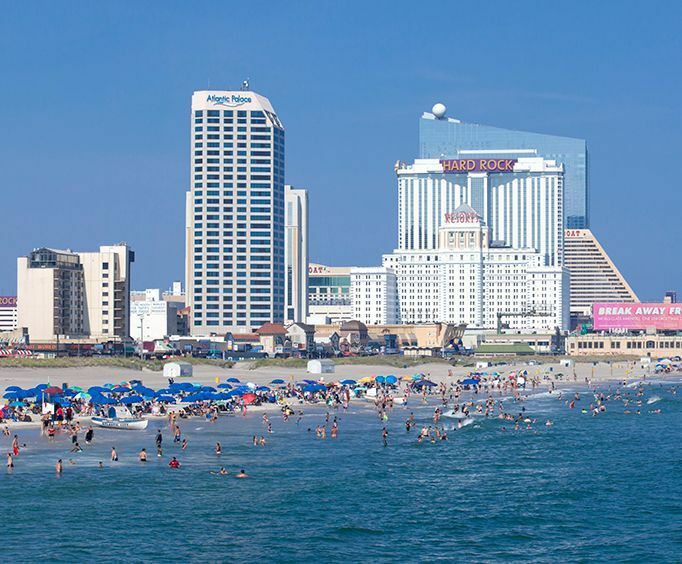 The package also includes 3 nights' lodging at your choice of Atlantic City hotels. Here, you can choose all of the amenities that are important to you. This option is fantastic for making sure your vacation is tailored to suit your family's specific needs. Comfort is of the utmost importance in this package.